On a sprawling campus in southern France, a revolutionary kind of power plant is steadily rising from the ground. Scientists and engineers from dozens of countries are building a facility that will eliminate all the negatives of today’s power supplies -- greenhouse gas emissions, toxic air pollution, radioactive meltdowns -- while still providing massive amounts of electricity around the clock. At least, that’s the goal. The International Thermonuclear Experimental Reactor (ITER) project will use nuclear fusion, a technology that energy experts call the “holy grail” of modern electricity. If successful, fusion reactors could replace most of the world’s coal, oil and natural gas-fired power plants. They would fill in the gaps created by wind and solar energy, which are not available around the clock, without costly battery systems. Huge hurdles stand in the way of fusion’s promise, however. Right now, fusion reactors require far more electricity to operate than they actually produce, rendering the plants impractical in the real world. Physicists at ITER as well as other government initiatives and private startups are pushing to build more efficient reactors -- a process that will require billions of dollars and no less than a decade to achieve. 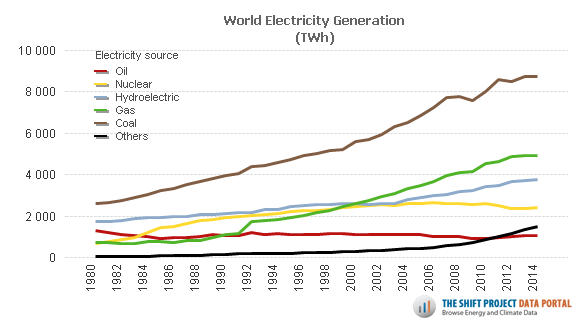 Yet breakthrough energy technologies are critical to helping countries drastically and quickly reduce their emissions. In Paris this month, leaders from nearly 200 nations are meeting to negotiate a global climate change agreement, one that will require the world to scale back the use of fossil fuels and switch to lower-carbon alternatives. If they don’t, the planet could face catastrophic levels of global warming, with entire coastlines sinking underwater, violent storms growing more frequent and brutal weather patterns attacking crops and water supplies, according to climate scientists. The ITER project in Cadarache sits roughly 425 miles south of the United Nations-led climate conference in Paris. There, scientists from Europe, the U.S., Russia, India, China, Japan and South Korea, are attempting to build a 500-megawatt fusion plant, about the size of a typical U.S. coal-fired facility. The $14 billion project includes a 200-foot-high machine called a “tokamak,” which uses massive magnets -- each powerful enough to lift an aircraft carrier -- to contain and fuse doughnut-shaped clouds of hydrogen as they spin. In nuclear fusion, two hydrogen nuclei are smashed together so tightly that they form a single, larger helium atom. The process releases tremendous amounts of energy. On the sun, fusion creates the sunlight that reaches Earth. In a power plant, the energy is transformed into heat, which produces steam to drive turbines and generate electricity. Hydrogen isn’t mined from the ground; it’s found in places like the ocean’s infinite waters. Fusion is considered cleaner and safer than nuclear fission, which powers conventional reactors and supplies about 20 percent of U.S. electricity. Fission splits, rather than merges, atoms into fragments, releasing neutrons at high speeds and producing radioactive waste. When the fission process accelerates out of operators’ control, it can result in nuclear meltdowns, like the 2011 Fukushima Daiichi disaster in Japan. Fusion, by contrast, stops as soon as operators turn off the machine. For fusion scientists, the biggest conundrum is how to make hydrogen hot and dense enough to create sustained reactions that will produce vast amounts of power. At ITER, the goal is to build a plant that generates 10 times more electricity than it consumes. Currently, the most efficient reactors still burn twice as much electricity as they produce. “We’re no longer talking about a purely scientific problem, but an engineering problem,” said Laban Coblentz, ITER’s head of communications, who moved to France this year from New York. 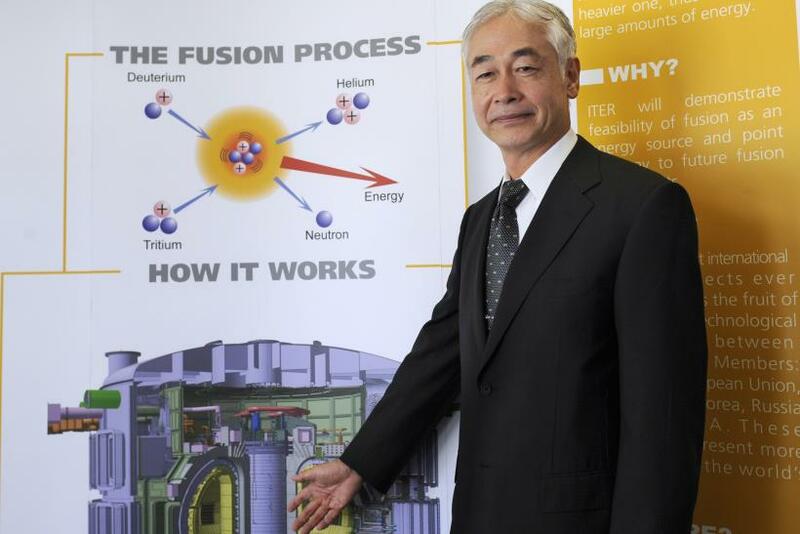 The dilemma is drawing investor-backed startups into the fusion field. General Fusion, a 13-year-old startup in Vancouver, Canada, is building a reactor that will combine two prominent fusion technologies: the magnet system used in ITER, and “inertial confinement fusion,” which involves firing dozens of giant lasers at a container holding hydrogen to compress and fuse it. “We’re trying to move away from those two extremes and into somewhere in the middle, using common industrial technologies” said Michael Delage, vice president for strategy at General Fusion. The company has raised around $100 million (Canadian, $76.3 million U.S.), about 80 percent of which comes from private investors including Amazon.com founder Jeffrey Bezos and Chrysalix Energy, a Canadian cleantech venture capital firm. Other fusion startups include Helion Energy, based near Seattle, and Tri Alpha Energy in Orange County, California. Industrial giants are also entering the fray: Lockheed Martin last year announced its own fusion project under its advanced technology arm, Skunk Works. 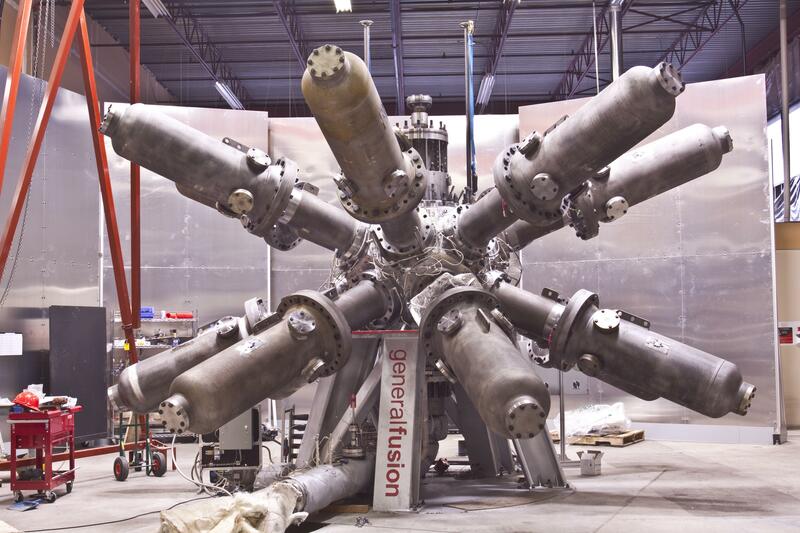 General Fusion aims to build pilot and demonstration plants in the next few years and scale up to a commercial power plant within a decade. But Delage hesitated to put the projects on a firm timeline. “The reality is, this is more of a game of making progress foot-by-foot-by-foot, as opposed to ‘Eureka!’ moments where there are huge leaps forward,” he said. No project embodies this struggle more than ITER. The international effort launched in 1985 after former U.S. President Ronald Reagan and Mikhail Gorbachev, the last leader of the Soviet Union, sought to forge a peaceful collaboration around fusion energy. 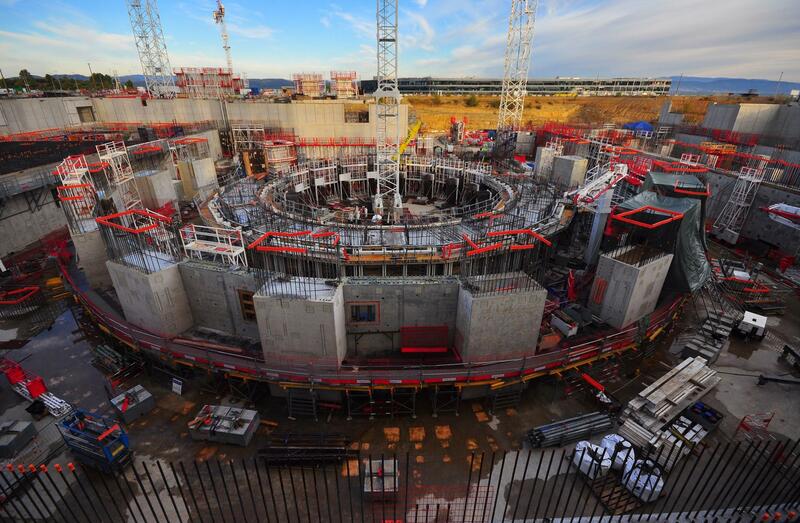 Three decades and billions of dollars later, the ITER team said last month it expected significant delays and cost overruns, with the first construction milestones not likely to be reached until after 2022. Still, supporters of developing nuclear fusion say the setbacks don’t dull their hopes the technology one day will transform the global energy sector into a carbon-free, limitless supply of power. “It’s a matter of when, not whether it will happen,” said Edward Morse, a nuclear physicist at the University of California, Berkeley.